Big 10 Tournament Starts TODAY! The Midwest’s favorite college basketball tournament is HERE. The Stacked Pickle is your gameday destination for all things March Madness! The Big 10 tournament play-in games start tonight at 5:30pm with #13 Nebraska taking on #12 Rutgers. Then #14 Northwestern takes on #11 Illinois at 8pm! A huge shoutout to our Purdue, IU, Michigan State, and Iowa State fans! Your watch parties who always come out in numbers for the festivities! 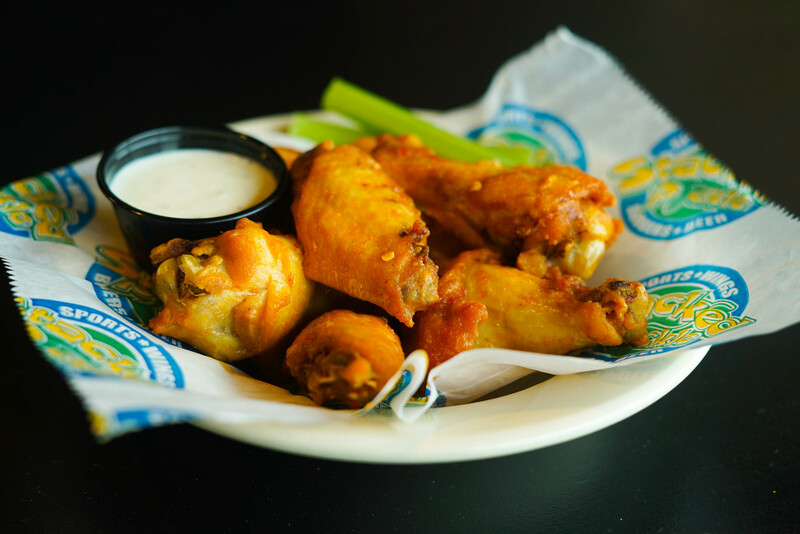 Our daily specials are running all week, and today is #WingWednesday! Come to Stacked Pickle and try one of our Daily Specials! Our Feature of the Month is the #MadnessWrap, is a based on a 6 oz of Philly Beef Steak, glazed with A1 Steak Sauce. It’s enhanced with beer battered fries, sour cream, guacamole, pico, mixed cheese, chipotle ranch drizzle & wrapped in a Jalepeno bun. Served with fries or your choice of side, this wrap definitely a good #GAMEDAY meal option if you’re looking for something new and delicious! You won’t find another sports bar with food or an environment this good. Come check us out! Come try the Madness Wrap today! Our March Madness deal is a great one for you bourbon lovers! We’re serving $5.50 Maker’s Mark & Maker’s 46 Bourbon all month. For St. Patrick’s Day, we also have specials on Irish Drop Shots & Tullamore Dew! Both are St. Patrick’s Day favorites, so if you and the gang are searching for a Sunday play, look no further! Come celebrate Saint Patrick’s Day at Stacked Pickle! #PicklePlay: Come In For Our 2 For $20 Deal!